As a painter, writer and curator, Professor Lubaina Himid has participated at an international level in exhibitions conferences books and films on the visual art of the Black Diaspora since the early 1980’s. Lubaina Himid investigates effective ways for artists to broaden relationships with museums. Using the often hidden or neglected objects in collections, she works with curators to broker conversations between these objects, museums and audiences, bridging the gaps between the histories and contemporary life. Working with the Gwangju Folk Museum (South Korea) she made interventions into the collection with new artwork as part of the Gwangju Biennale 2014 Burning Down the House, curated by Jessica Morgan. This in turn linked to her painted work Drowned Orchard/Secret Boatyard (2014) displayed in the nearby Biennale Hall highlighting the changes taking place in society as a result of rapid technological innovations and the processes of modernisation. In Keywords (2014) curated by Gavin Delahunty and Grant Watson at Tate Liverpool she revived her 1986 large scale cut-out installation A Fashionable Marriage which examines and exposes the similarities between the world of international politics and the world of British art. At the Whitworth Art Gallery, working with the Textile department team during a period of 18 months, she examined the their small group of 20th century East African Kangas, taking photographs and making dozens of preparatory drawings. She has compared these with her own Kanga collection, using the many patterns and motifs from both groups to make new work on paper. Referencing the Swahili sayings or slogans found on traditional Kangas her series of large paper works, entitled Kangas from the Lost Sample Book (2011/12), used invented texts that evoke a sense of impending danger coupled with a dogged desire to survive. Thin Black Line(s) Tate Britain 2011/2012 The display devised by Lubaina Himid with curator Paul Goodwin focused on the contribution of Black and Asian women artists to British art in the 1980s. Taking as its starting point three seminal exhibitions curated by Lubaina in London from 1983 to 1985, the Tate Britain display charted the coming to voice of a radical generation of British artists who challenged their collective invisibility in the art world and engaged in their art with the wider social and political issues of 1980s Britain and the world. 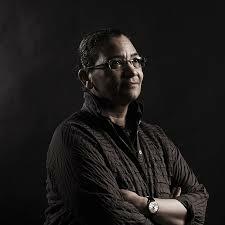 Her contribution to the publication (2005) and conference (2001) Shades of Black Assembling Black Arts in 1980s Britain at Duke University in the U.S.A. spoke of the importance of black artists archiving the history of their own visual contribution. In Fabrications at CUBE in Manchester, a group show in which with her monumental installation Cotton. Com (2002) she explored the tangible yet hidden links between the factories in Manchester and the fields of Carolina. For Inside the Invisible (2001) commissioned by The Leprosy Museum in Bergen, she examined the twin dilemmas of identity and belonging, which developed out of the questions asked in the solo exhibitions Plan B at Tate St Ives and Zanzibar at Oriel Mostyn in 2000 : how can you tell the difference between safety and danger. Curating exhibitions and small interventions in spaces such as the Bowes Museum County Durham (2004) and educational, cultural and community venues in the north west has recently been central to her practice as a visual art facilitator and cultural activist. As part of the larger project started in the early 80’s with shows such as the Thin Black Line (1986) and Black Woman Time Now (1983) devised to highlight the contribution black artists have made to visual art in Britain, she has with Susan Walsh in collaboration with the Interpretation and Education Team at Tate Liverpool, produced and distributed Open Sesame (2005) and The Point of Collection (2007) These are two DVD/text research documents which examine and reveal the contribution made to the exhibition education and collecting strategies at Tate in recent decades by artists of African, African/American, Asian and Caribbean descent. Naming the Money 100 painted life sized wooden cut outs exploring the trauma of enslavement, the struggle for belonging and strategies for survival. The Art & Diasporas conference at the Clarke Institute Massachusetts April 2008 The Society for Multi Ethnic studies: Europe and Americas conference in June 2008 a The Collegium for African American Research conference on Diasporas and Migration in March 2009. Common Wild Flowers Kangas and Other Stories a series of paintings in which audience is asked to engage in discussion around cross cultural exchange contribution visibility and representation. Works from this series formed part of commissions for museum trails and interventions during 2008 and 2009. Negative Positives : The Guardian Archive is a collection of Guardian newspaper pages gathered during the nine years since 2007 in which the subtle narratives behind photographs and headlines relating to people from Africa and the Black Diaspora are revealed, using painted patterns and strategic juxtapositions.